One idea. Five variations. All possibilities. 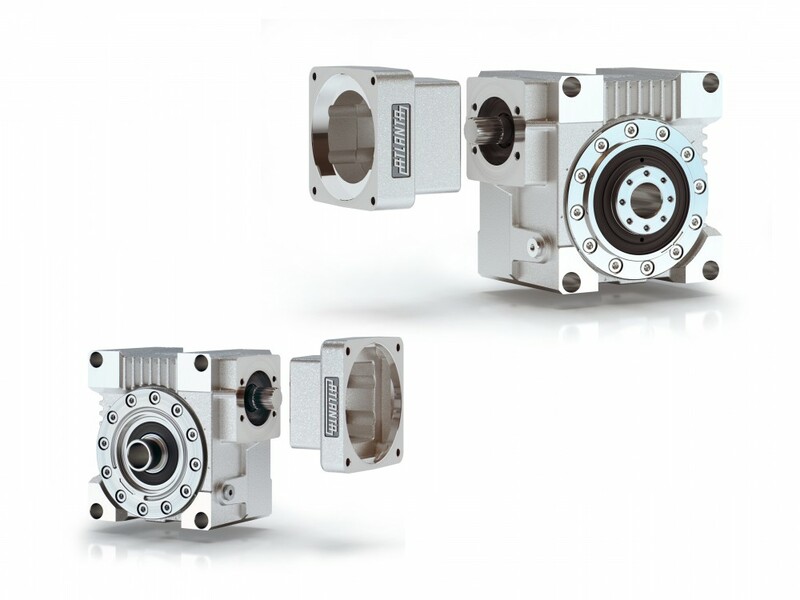 BV Hypoid Gearbox "Over 1000 combinations with ONE gearbox"
Welcome at ATLANTA Antriebssysteme E. Seidenspinner GmbH & Co. KG. 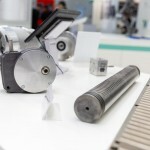 As a medium-sized family company which specializes in the development, construction and production of high quality drive systems, we have proved ourselves for over 80 years developing excellent solutions in the field of drive technology. 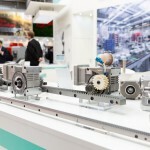 New production technologies require more complex drive systems and their components must meet strict requirements in quality and performance. 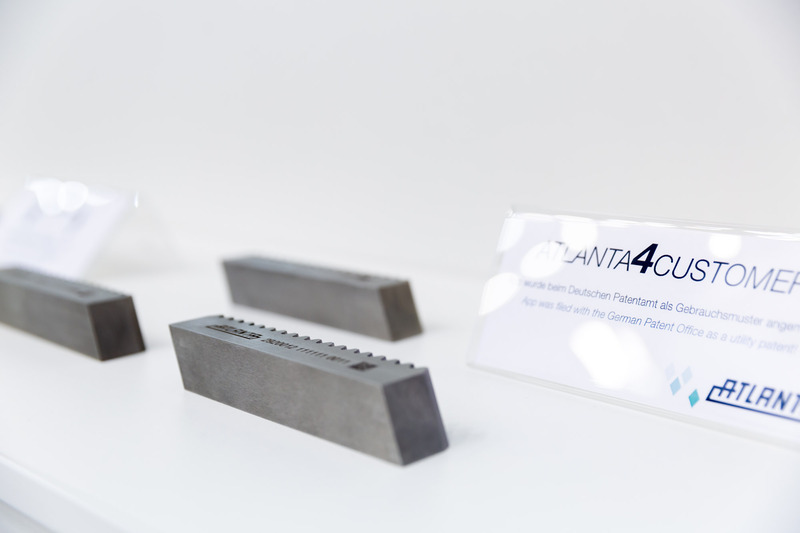 ATLANTA has repeatly adopted and implemented these requirements in new and innovative products over the recent years. 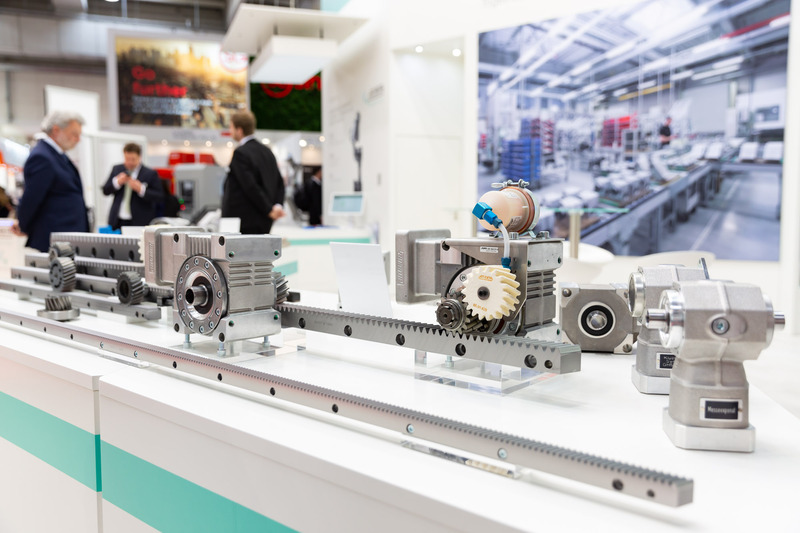 We are an established manufacturer of drive technology and produce in our three plants in Bietigheim-Bissingen (Germany) high quality products like low-backlash gearboxes, racks and gears. 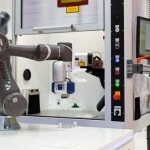 Constant development guarantees to us to be ready for complex challenges in drive technology. 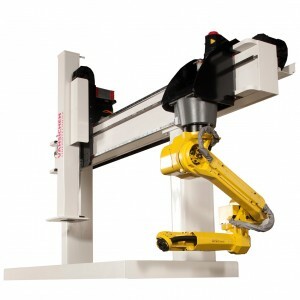 Next to our extensive catalog range, we have customized solutions for servo gearheads, linear actuators and racks as well. We always work on a par with our customers: An intensive cooperation in all project phases creates the basis for our efficiency and success. Our national and international customers alike appreciate the sound and professional advice of our specialists. 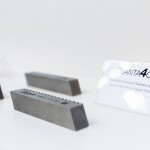 In addition, we offer fast and reliable support for technical questions and issues. 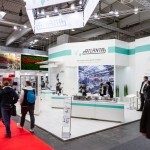 In keeping with the motto "Together, the future is in focus", ATLANTA Antriebssysteme presented once again itself at the Hannover Messe this year. 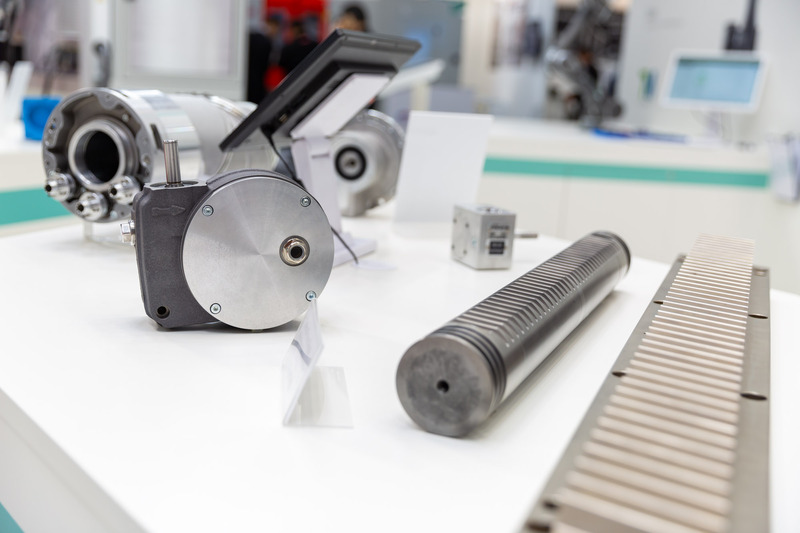 From 01 to 05 April, visitors were able to obtain detailed information about the product portfolio of the drive specialist from Bietigheim-Bissingen and seek advice. 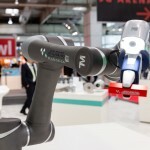 For the second time, the new company division “ATLANTA Robotics” was the focus of the exhibition. 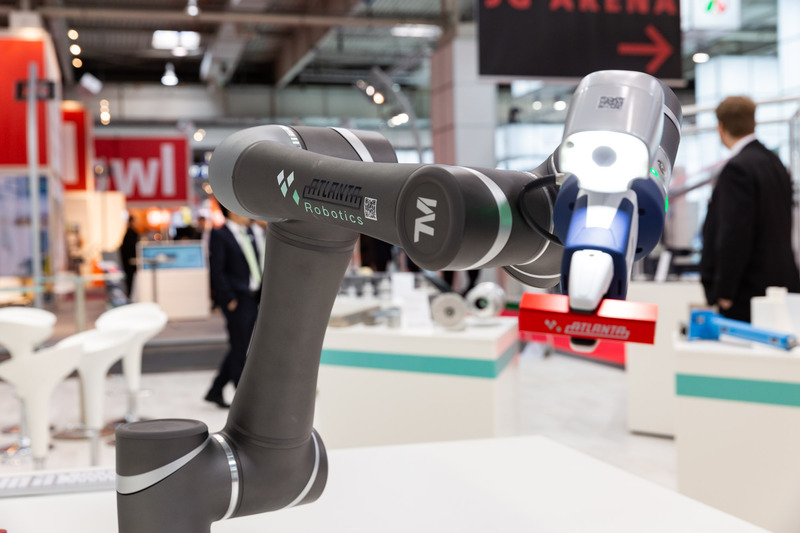 This time the field of lightweight robots took up almost half of the booth area, as in addition to the simple programming of the robot, an application was presented live in cooperation with the specialist of laser marking systems, the company Nill + Ritz from Markgroeningen. 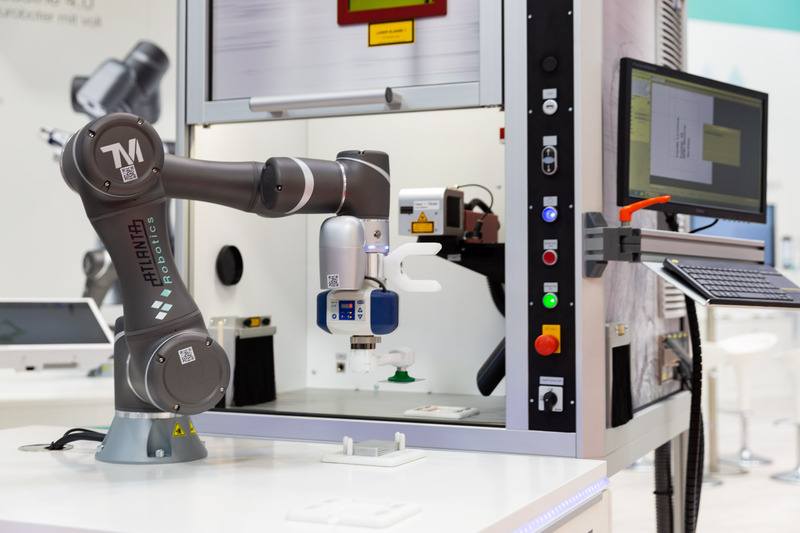 In this application, an aluminum luggage tag was inserted fully automatically into the Nill + Ritz marking machine by the ATLANTA lightweight robot TM5, labeled there by laser with the visitor's contact data and then removed again by the robot. The visitors could take the luggage tag as a souvenir. 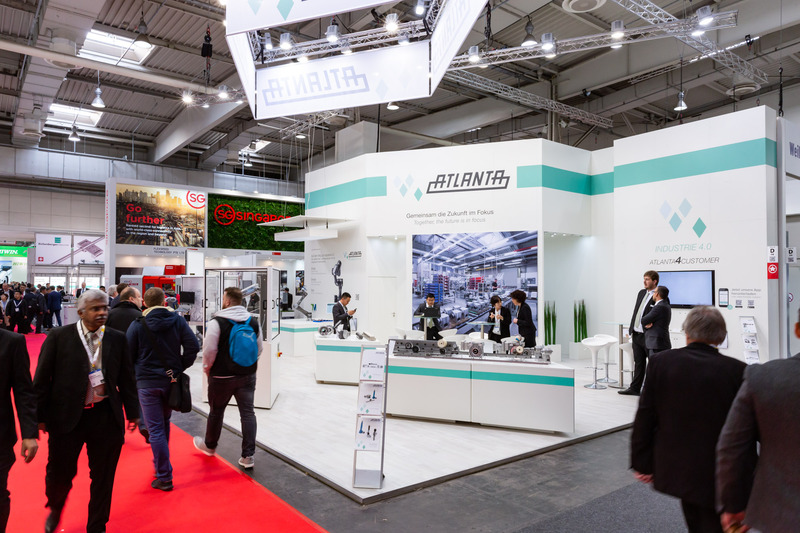 With a number of 215,000 visitors during the five-day exhibition, this year's industrial fair was a complete success, also for ATLANTA. The registration as an exhibitor in 2020 followed directly after the fair. 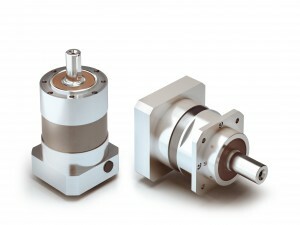 The new APG / APGS Planetary Gearbox as an the in-line additon to our series of right-angle servo gerboxes. 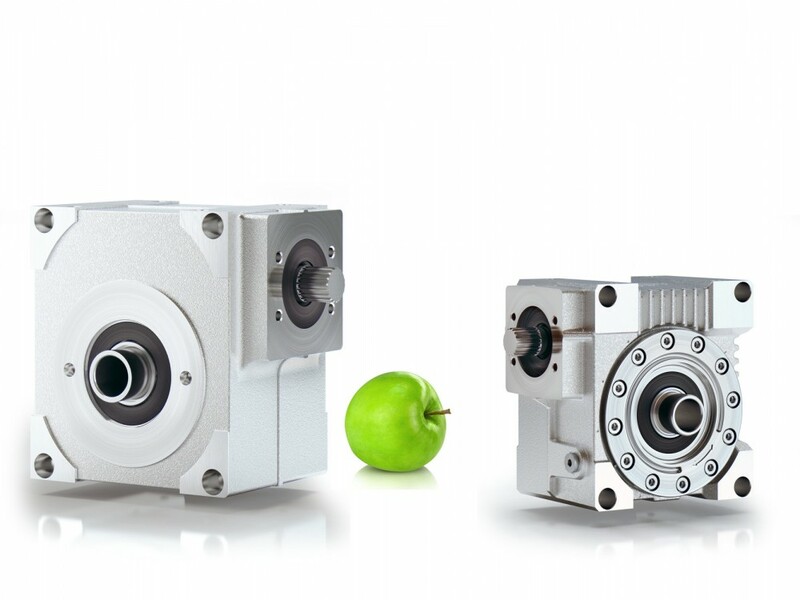 Over 1000 combinations with ONE gearbox size. 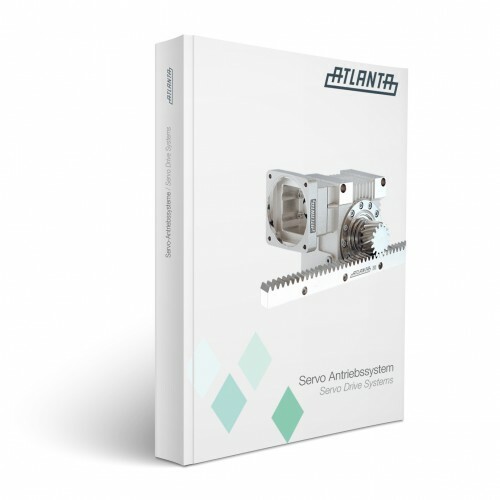 The new ATLANTA Hypoid Gearbox. 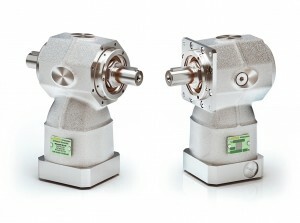 The HT and HP Servo Right-Angle Gearboxes with modular motor flange. Here you will find all our catalogues for downloading. 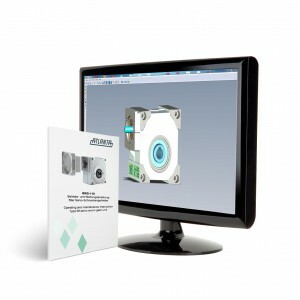 Insturctions, CAD-Drawings, Mounting Videos, etc.